Pete is a sensitive, handsome young war hero. Wexford is a defiant, scheming troublemaker. Their lives collide in the uneasy days of peace after World War II as senior year at the Devon School changes from a time of friendships into a stunning drama of tragic betrayal. With the unforgettable power and simplicity that made A Separate Peace into a modern classic, this masterf Pete is a sensitive, handsome young war hero. Wexford is a defiant, scheming troublemaker. 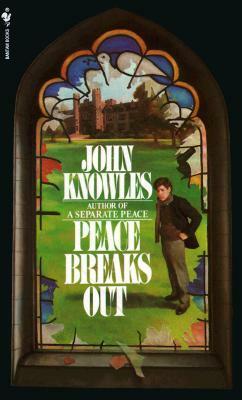 Their lives collide in the uneasy days of peace after World War II as senior year at the Devon School changes from a time of friendships into a stunning drama of tragic betrayal.